@7zxkv - Hope you can please help! is there any way to forcably close "srtgl.exe" from running in taskmanager after I've pressed either the 'escape' button or 'ALT+F4' on my keyboard? I've never been able to close your loader program on any PC I've used it on and I always have to reboot my PC. After pressing 'Escape' or 'ALT+F4' I see that 'srtgl.exe' and the 'Game Loader All RH.exe' are still running in the \AppData\Roaming\Game Loader All RH folder\Files and refuse to close, even after 30+ minutes. Could any of these other files be stopping the loader from closing? Can you help with a suggestion please? I replied to you before. I will say it again. Please stop using Game Loader. Please forget about Game Loader. I can not help you. I'm sorry. Are you actually able to run and access Window's command line interpreter cmd.exe as an additional program instance while Game Loader All RH is (still) running? If so, you could try using the TASKKILL command to terminate the particular .exe you'd like to kill for the time being. Is it possible with game loader to play this game with pad ? Before i think i see its posible to play 2 players one with mouse and second with keyboard i see good or i dream of that lol ?? Now when i play with mouse i see i have the white arrow of the mouse on the screen how to remove it? It works now just fine with my games, but any hope to remove the "v0.3.2.3 p" green overlay? It may be wrong, but how about using Demulshooter? . I have the same issue, I've tried editing the ini file to remove the version number in both the /sv directory (for portable mode) and the %appuser%/roaming folder, but its still there ? Simple question, VF4 and HOTD4 need Teknoparrot to run or I can use RH Loader? They work on windows 7 with Rh Loader? No correct dependencies for Linux emulation in Window$ 7 only in Window$ 10. Lindbergh hardware runs on Monta Vista Linux. So not anymore an issue! Thanks! It is as easy as this: Just click on the tab Update Rate, then move to the field Update rate Mouse Cursor Hide, check Enable and leave a blank space within the box named ms. And so your mouse cursor will be hidden from now on whenever the game gets started. Especially noteworthy, by the way, is the Bicubic (PS 2.0) Expansion Filter, since its realised interpolation allows connoisseurs to smack their lips appreciatively. It is as easy as this: Just click on the tab Update Rate,[....] since its realised interpolation allows connoisseurs to smack their lips appreciatively. Fixed the problem of stretching by changing the in-game aspect ratio such as character selection, 2D HUD, opening video etc. to 5: 3. With this update, 2D HUD problem was fixed with 16: 9, 21: 9, 48: 9 aspect ratio, but there are other trivial problems. * Since there is a problem in 4: 3 in this update, please use the file in "4.3 ~" folder. * When it does not work correctly, discard this archive in the trash box and finish. Apologies if this has been asked/answered before, buit I have a quick question on using Game Loader with my racing cabinet. For example, with Sega Rally 3 - Ive gotten Techno parrot to load the game and configure my G29 steering wheel with no issues, biut when i load with Game Loader, controls dont work. Is there a separate way to configure steering wheel with Game loader? vf5b v5 is the only one that works on 2560x1440 using -wsvga, versions after always crashes. I do not have a steering wheel, so I can not help you. But it worked properly with the X360 controller. Is "v5" normal and "v6" crashing? . My monitor is FullHD, but using game.exe (CRC 2E1E0C6A) for "v6" 2560x1440 will not crash (window mode). Are you misunderstanding using game.exe for "vf5c"? . How do you setup xbox controller for game like sega rally 3? Yes V5 works i dont have any game.exe in folder for Virtua Fighter 5B i point tecknoparrot to the vf5 file inside disk0 folder and use gameloader allrh to launch it. I hadn't set v6 to window mode so it working ok on window mode. Awesome the VF5 Gameloader patch works fullscreen at 1360 x 768. Only one slight problem, during demo mode, when the highscore overlay is shown during the fight. The fight scene on the background flickers intermittent to black. How do i get Virtua Fighter 5 C to run with RH Loader 323 and Teknoparrot 1.86 ? There are two bin files, what to do with those extracted files , merge ?. Sorry to ask, about VF5C, but I can not figure it out myself. But what is the correct procedure to get the two extracted bin file, files to work with GameLoader All RH / TeknoParrot / Budgieloader ? I extracted the files from the two bin files, but then what ? Merge the files / folders ? How to configure TeknoParrot / Budgieloader to run VF5 C? Made my own xml files, would not load. Good morning ! Im having some issues with HOTD4 running teknoparrot 1.86 -Windows 10 nvidia 1080 card . It appears to be missing the graphics and all i can see is a black screen , ammo and when i get "damaged"? Would someone be able to assist me in setting this game up correctly with game loader ? OK, @atrain9 you asked how to get Operation G.H.O.S.T. with correctly aimed crosshairs ? Because I do not know of a public dump of Ghost Squad. It is a Lindbergh game, no support in TeknoParrot at the momnent. Hello Sir , Tonight I was able to finally have time and go through your tutorial and I want to say it works great !!! Thanks SOOOOOOOOOO much!!!!! With all that being said I was wondering if you could help me with lets go jungle 3d and ghost squad ........for the life of me I am having the worst luck .......I can get them to boot up in gameloader all rh but the resolutions and crosshairs arent aligned which makes them unplayable for me . If you have a tutorial or a working version i could try i would really love it !!!!!! Thanks again "
He is talking about my tutorial about getting House of the dead 4 to run correctly with GameLoader All RH. Let's go jungle is a Patreon only game in TeknoParrot 1.87, sorry I can not test at the moment. Settings I used in GameLoader All RH. Other settings where just standard. Space is skip forward the video ? Left mouse button is shoot. Right mouse button is action button, to switch between single shot, and burst fire. Auto reload, no need to go off screen. No idea if it will work with Aimtrack or other guns. Works for me, fullscreen and crosshairs correctly aimed, without Window$ mouse overlay. Problems on your side ? OK, @ atrain9, vous avez demandé comment obtenir l'opération GHOST avec un réticule correctement orienté? 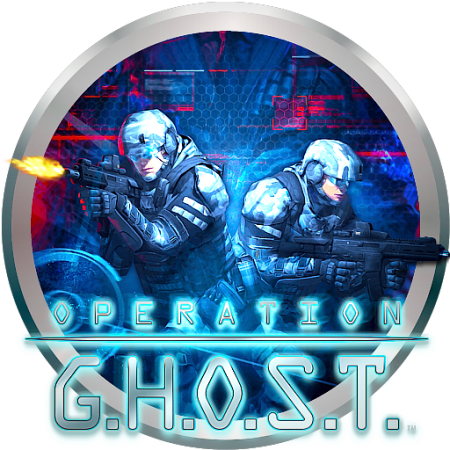 Parce que je ne connais pas de décharge publique de Ghost Squad. C'est un jeu de Lindbergh, pas de support dans TeknoParrot pour le moment. Thanks for all the great work on here and special thanks to Lemon for his tutorial on HOTD4!! I am able to set up the game like described in tutorial and it works but the only problem on my end is my lightgun(AIMTRAK) is not firing (trigger doesnt respond). I can move the crosshair with the lightgun though just cant shoot or use grenades!!! I am am using newest demulshooter as well !!! if anyone could assist to help me and a few others having issue:) Thanks friends ! !